This 7" is a nice surprise and a curiosity for two reasons. The Dynamic Superiors are certainly not the most well known male vocal quintet on Motown roster. But they were rather original, their lead singer Tony Washington being openly gay and dressing in drag on stage. This was what you can call a real punk attitude, especially when you consider that afro american music scene has been always crossed by a clear homophobia. 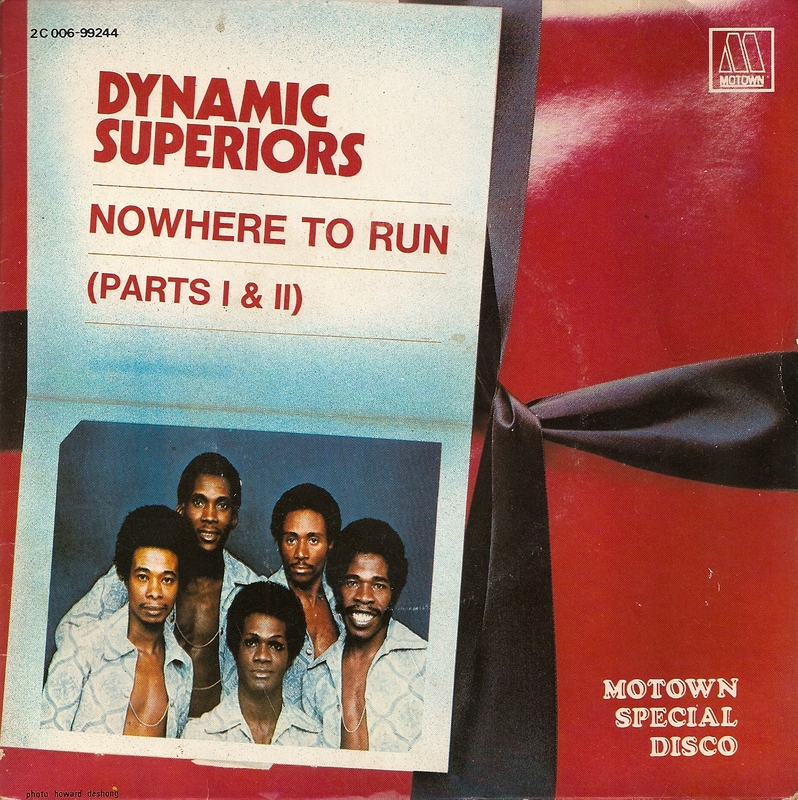 The second curiosity with this Holland/Dozier/Holland penned (for Martha And The Vandellas) disco stomper heavy on percussion is that it was effectively produced by Edward J. Holland. The trio had left Motown in 1968 to create their own imprints, Invictus Records and Hot Wax Records, and they went to court with Berry Gordy over royalties money and breach of contract matters. Curiously, despite the lawsuit, they still produced records for Motown in the 70's.